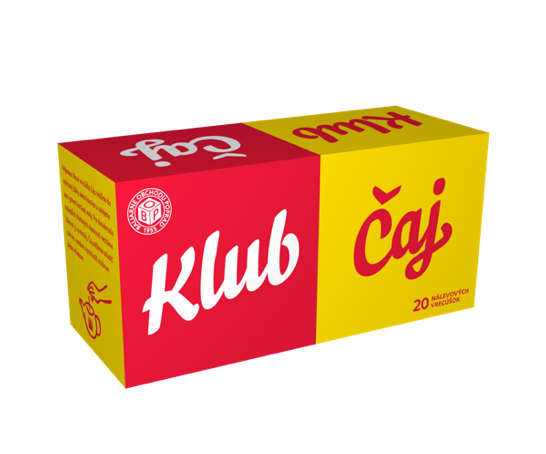 Together with Pigi Čaj, the Klub Čaj is one of the fixed stars on the slovak tea market, with history reaching deep back to socialist era. Over the years package underwent cosmetic changes, but the main concept remained the same – box is divided to red and yellow rectangles which create a grid for placing informations. And the same goes with latest refreshment of package design. Lettering itself is loose reference to ost-block signages, with simple construction an broad nib stroke contrast.